April Latimer, a junior doctor at a local hospital, is something of a scandal in the conservative and highly patriarchal society of 1950s Dublin. She’s known for being independent, and her taste in men is decidedly unconventional. Now April has vanished, and her friend Phoebe Griffin suspects the worst. Phoebe seeks out Quirke, her brilliant but erratic father, and asks him for help. Sober again after intensive treatment for alcoholism, Quirke follows April’s trail through some of the darker byways of the city, and finds himself deeply involved in April’s murky story, facing ugly truths about family savagery, Catholic ruthlessness, and race hatred. 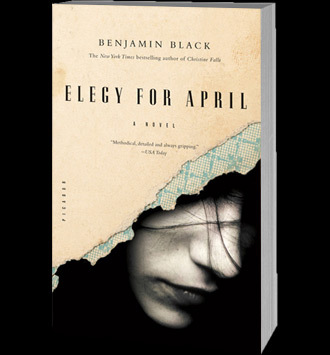 Both an absorbing crime novel and a brilliant portrait of a father and his daughter, this is Benjamin Black at his sparkling best. "Elegant.... [Black/Banville’s] sinuous prose, subtle eroticism and 1950s period detail do more than enough to put [his] series on the map." "Methodical, detailed and always gripping." "Mr. Black/Banville has raised the bar for the soul’s-night genre.... Cool, atmospheric… memorably etched." "Black's engrossing third crime thriller set in 1950s Dublin finds pathologist Garret Quirke fresh from a stint in alcohol rehab... Black is equally concerned with exploring the idea of family and loyalty as with spinning a suspenseful whodunit, and his depiction of a fragile father-daughter relationship is as powerful as the unsettling truth behind April's disappearance." "Quirke, the haunted Dublin pathologist and haphazard sleuth, returns in the third in Black's superb series of sharply etched, nearly Jamesian mysteries... In Black's atmospheric and penetrating works of Irish noir, pain, prejudice, greed, and violence brew behind lace curtains." "What sets it apart is the uncanny ability of Black (The Lemur, 2008) to bring his characters alive with flashes of piercing insight, whether Quirke's dealing with his stepmother-in-law or learning to drive."